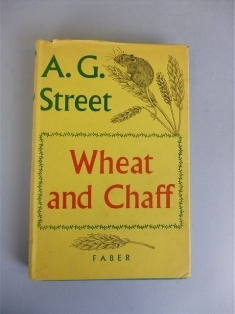 Arthur George Street (1892-1966) - Writing and broadcasting under the name AG Street, he was a popular and prolific writer of books on farming and country life. 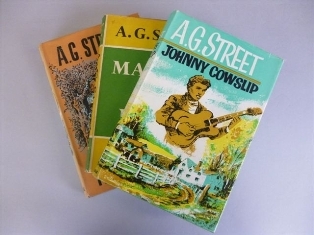 AG Street was the son of a Wiltshire tenant farmer. He was born at Ditchampton Farm, Wilton, where he eventually took over the tenancy from his father. 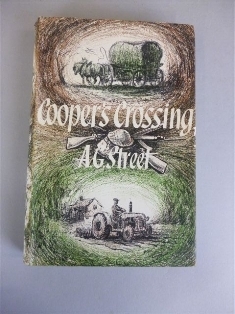 To supplement his income during the depressed farming years of the 1920s and 1930s, he took to writing mainly fiction, in which he portrayed farm life in Southern England without idealizing it. His use of dialect further strengthens his imagery of rural life. 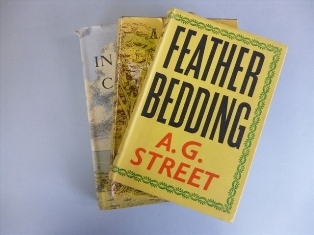 Writing nearly 40 books, the next Antiquarian Book Auction at Bearnes Hampton & Littlewood to be held on 19th March 2014 includes a near complete colleation of all his writings, many in their distinctive Faber and Faber dust wrappers. The collection also includes three signed letters by him and is inviting bids of £60-£80 when it goes under the hammer on 19th March 2014.